Register for Sky Ranch Camps in the Dallas/Fort Worth Metro! This will be my son's fourth year to attend Sky Ranch Launch Camp. He looks forward to this trendy Christian summer camp throughout the year. Due to our schedules, he has attended different locations in the past years and had similarly wonderful experiences at each camp. These Christian Camps have been an amazing part of his childhood and we highly recommend them. Let me tell you more! My son first attended Sky Ranch Wave Camp at Hawaiian Falls in Roanoke in 2015. He attended Sky Ranch Launch Camp in Keller in 2016 and Southlake in 2017. He has many happy memories of the friendships and activities from these camps. Let's start with an overview of Launch Camp. "Sky Ranch is one of the leading North American Christian camps and our Launch Camps offer your child an extraordinary day camp experience – right in your neighborhood! It’s the perfect option for kids entering kindergarten through 5th grade who want to enjoy Sky Ranch Summer Camp, but are not quite ready to stay overnight." The camps lasts for one week, running from 9am until 4pm on Monday through Thursday and then 9am until 3pm on Friday. There is a special closing ceremony on Friday at 3pm. 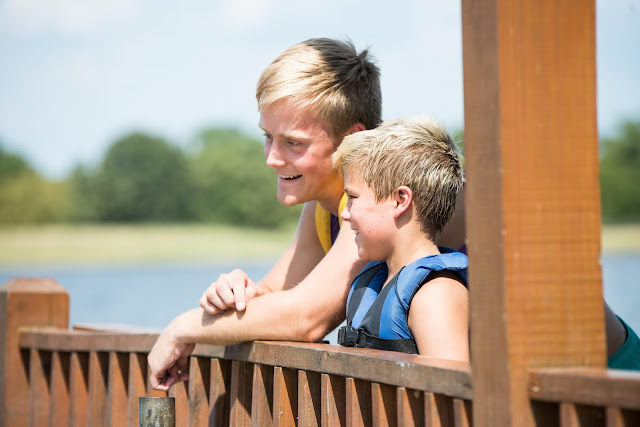 Sky Ranch Launch Camps have multiple locations across the Dallas / Ft. Worth metroplex. Each location offers several different dates to choose from so that you can find the week and location that work best for your family. As I mentioned earlier, Sky Ranch camps have been a memorable part of my son's childhood. The counselors were very enthusiastic and caring. They seemed to genuinely enjoy the opportunity to work with the children. My son looked up to his counselors as role models. They have even sent him post cards throughout the year, including on his birthday. They sent home a summary of the curriculum with him each day that provided good discussion topics for our family to share. The stories and lessons really stuck with my son, so that is a testament to the enthusiasm of the staff. The theme of Lights, Camera, Animals was my son's favorite part of the camp. He has always loved animals, so connecting lessons with his interests was amazing. He was such a happy little chatterbox at the end of each day. What are some things God created? What is God's favorite creation? How has God creatively made you? The bible lessons were wonderful, but they also know how to entertain energetic children. They organized many activities and games where the children bonded. Seriously, a lot of thought went into the activities. The Sky Ranch team exceeded my expectations. They even exceeded my imagination! 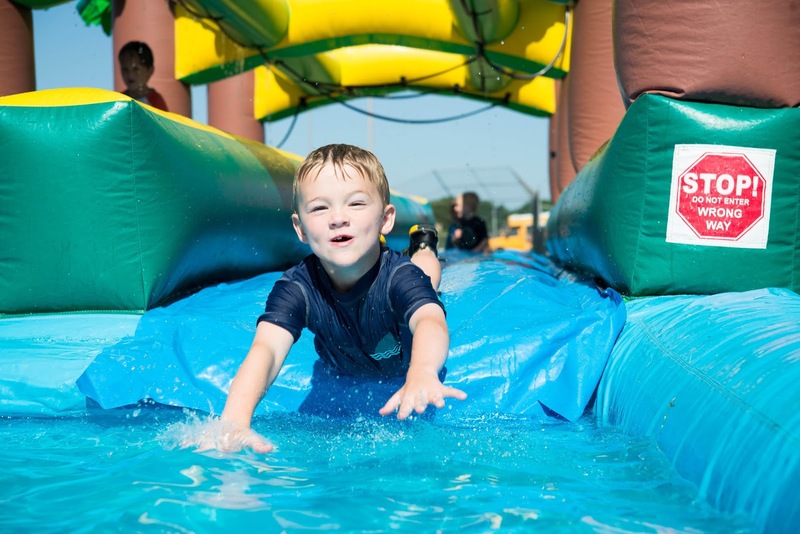 There are so many activities and games that the kids love, including everything from foam pits and waterslides to team bonding games. My son woke up every morning and couldn't wait to find out what was next! My son is excited to attend Sky Ranch Launch Camp again this year. We are happy that he will have the opportunity to add to his childhood memories with Sky Ranch. I feel like he is growing up quickly and the continuity of Sky Ranch camps in summer has helped him to grow as a person while creating memories. Check out all of the camps at Sky Ranch and register while spaces are avialble! While we personally rave about Launch Camp, they also offer many other camps that have great reputations.